Since opening in the 1850s, the property that is now Mira Vista Resort has been a haven for respite and renewal. Because the current site of Mira Vista had a well in the 1860’s and 1870’s, it was a popular stopping point for early Western travelers. Mira Vista is near historic Nine Mile Water Hole on Butterfield’s Overland Mail Company trail that was used by many travelers in the 1860s including emigrant wagon trains. With the opening of the Southern Pacific Railroad into Tucson in 1880, the West was opening up to people looking for a better life. Rustlers plied their trade and miners followed veins of gold and silver while claim jumpers, hijackers, and stagecoach robbers followed in their wake. On March 20, 1882, down at the Tucson Railroad Depot, Wyatt Earp shot Frank Stilwell to death for his part in the murder of Earp’s brother, Morgan, two nights earlier in Tombstone. And on January 25, 1934, John Dillinger and his gang were apprehended in downtown Tucson after hiding in the Hotel Congress. Another notorious outlaw, Tojano, made Sombrero Peak his hideout (look to the west and you will see the famous peak). 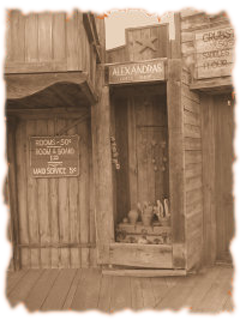 Tojano was famous for robbing stagecoaches, his most famous robbery – $50,000 in gold stolen from the army payroll stagecoach. Some believe the gold is buried in the vicinity of Sombrero Peak, and that Mira Vista’s stone fireplace contains a treasure map showing its location! During the 1880s, Geronimo used this place during the conclusion of the Indian Wars. On a volcanic hill several miles away are the famous “Picture Rocks” where the Indians printed their “newspapers” on rocks telling where food and water could be found. The area is also known as Picture Rocks because of the ancient petroglyphs inscribed into the red rock canyons by the Pima Indians hundreds of years ago. 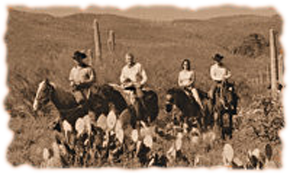 During the 1930s, the era of the modern dude ranch, the property was named Saguaro Vista Guest Ranch. 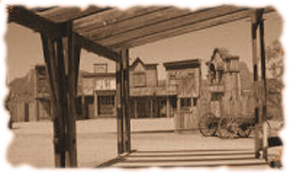 Because many of the old Westerns were filmed at nearby Universal Studios-Tucson, many celebrities visited the ranch to relax after working on the movie sets. Hollywood legends such as John Wayne, Greta Garbo, Cary Grant, Katharine Hepburn, and many others lodged here. Twelve of the original suites built at the time still stand today and have been updated for Mira Vista’s guests. And the original well is now the Jacuzzi. In the 1980s, the Suzanne Somers Institute for the Effects of Addictions on the Family was founded for families affected by alcoholism. Ms. Somers opened a shelter for abused women on the property within the operations of Saguaro Vista Guest Ranch, providing a safe haven for women and children coming from abusive households. You can find a plaque with her name at the entrance of our clubhouse and lounge, completely remodeled in December, 2007. The property was sold in 1997, and the new owners returned it to its previous grandeur as a guest ranch, renaming it La Tierra Linda – the beautiful land – and spending $1,000,000 in renovations, including building an Old West town. The pristine desert background provided the perfect setting for romantic weddings, celebrations, and honeymoons. 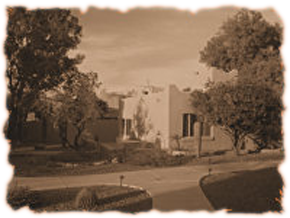 The property underwent further renovations in 2004 when the resort underwent new ownership and renamed Coyote Moon Health Resort and Spa. Coyote Moon closed in December 2005. Opened in May 2006, Mira Vista Resort is a new and exciting chapter in a history rich in legends and glamour, but most importantly, a history of continued renewal. For more than 150 years, this land has been a sanctuary for those wishing to relax. Now, as a family-oriented clothing-optional resort, it fulfills the destiny for which all of its transformations have prepared it. Throughout its various transformations, the majestic landscape and inspiring views have remained constant for thousands of years. Watch the sunset gild the Santa Catalina Mountains in the evening before the radiant stars come out for a spectacular show. Of all the mountain ranges in view, the Tucson Mountains are the most striking with their volcanic towering peaks and relics of old craters. An unexplained freak of nature makes these mountains warmer than other areas of Tucson, perhaps due to a deep underground lava bed. As you walk the grounds and hear the wind whisper, you cannot help but wonder if ancient souls are secretly telling their stories through the sounds, sights, and smells. Take it all in and you will see that this truly is sacred land.